It is important to take good notes in class. Taking written notes almost forces you to concentrate on what the teacher is saying. Your notes will help you prepare for tests and will give you clues as to what your teacher thinks is most important for you to know. Further, your notes will contain information that may not be in your textbooks. 1.Use a loose leaf notebook for taking notes. You can then remove pages as needed. You cannot do this if you use a spiral notebook. 2.Write your notes on the front side of pages only. This will allow you to lay the pages side by side when reviewing your notes for a test. 3.Write the date at the top of each page of your notes and number the pages. This will help you to keep your notes in the proper sequence. 4.Keep your notes for each class separate from your notes for other classes. You can use different color tabs to help you do this. 5.Be selective in what you write. On average, the speaking speed of teachers is five to six times faster than is the writing speed of students. Quite simply, 6.do not try to write everything your teacher says. 7.Use abbreviations and symbols to increase your notetaking speed. 8.Don`t be too concerned with spelling and grammar. These notes are for your use and will not be graded. 9.Ask your teacher to repeat something you think you may have missed. 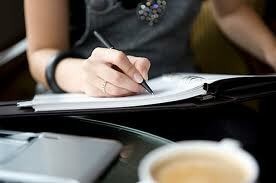 10.As you write points made by your teacher, translate these points into your own words. Doing this will increase your understanding of your notes and your ability to remember the information they contain. 11.If your teacher provides a definition for a word, write that definition in your notes word for word. 12.Write legibly. You will have to read your notes later on. 13.Include in your notes information your teacher writes on the board. 14.Stay especially alert during the last few minutes of the class. Teachers sometime use the last few minutes of a class session to cram in everything they wanted to cover but didn’t. 15.Your class notes are your record of what your teacher covered. Use the tips above to make them as good as possible.